A copy of this book was provided by the publisher through Netgalley in exchange for my review. What could be better than a series of thrillers written by an author with the last name Slaughter. When I first came across her Grant County series, I was amazed at how apropos the authors name was. 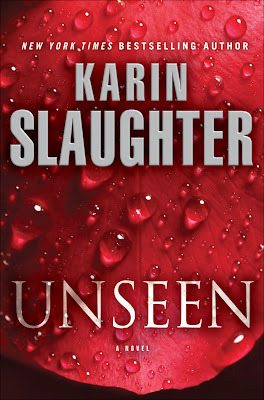 As that series unfolded, Karin Slaughter solidified herself as one of my favorite thriller authors. You know the kind, the ones whose next book you eagerly await, and whose books you know you will read without hesitation. You just know that they are going to deliver a top notch product and that they will not disappoint you. As I read each book in the Grant County series I fell more and more in love with Slaughter's characters and writing. I was hugely disappointed, then, to find out that the series was coming to an end. I should have known that the author wouldn't leave me hanging. In fact, Slaughter was astute enough to realize that a small Georgia town would not be able to sustain the level of crime necessary to support an ongoing series. What she did to overcome this problem, is begin a new series with a change of venue and a more appropriate organization as the focal point. Enter Will Trent, an investigator for the Georgia Bureau of Investigation centered in Atlanta. The switch to Atlanta allowed for a venue more acceptable for the level and type of crime needed to keep the series viable. The focus on the GBI allowed for future changes in location, keeping the series from stagnating. What was even more amazing about these changes is, after establishing her new central character, she seamlessly combined the new series with the Grant County series, making this fan happier than ever. 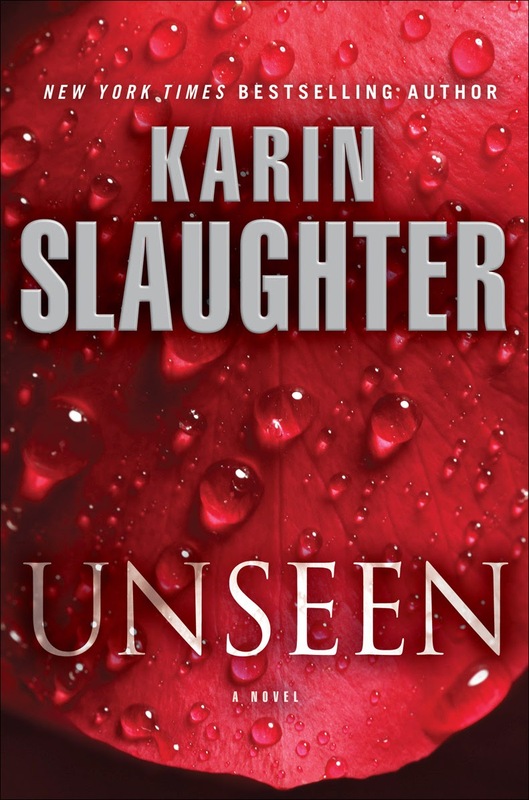 Unseen is listed as the 7th book in Karin Slaughter's Will Trent mystery/thriller series, although it is actually the latest in the series of books that combines both the Grant County characters and the Atlanta characters. As the book begins, we find Will working on an undercover assignment in Macon, Georgia. Interestingly enough, Macon just happens to be where our old friend Lena Adams has settled after she left Grant County. Things begin to heat up as Will and Lena's paths cross. As any fan of the series knows, if Lena is involved, there is bound to be plenty of trouble. This book is no different in that respect, and as the story continues, Will and Lena's seemingly unrelated story lines merge, though not necessarily in the way that I expected. Slaughter is a master in the use of twist and turns in the plot of her stories, and many of her books contain those "Ah Ha," moments that make a good mystery so much fun to read. Her stories are action packed, and although there is violence and evil, as all good thrillers must have, it is not over the top or gratuitous, just the right level of both to make the story believable. One of the things that I have come to love the most about Slaughter's books are her characters. Slaughter's characters are all undeniably human with all the complexity that suggests. In fact, reading this book was like going home for a visit and getting caught up with family and friends. You know they are going to make you laugh, or shake you head in wonder when they make a decision that doesn't seem to make sense. I found myself, once again, being amazed by their actions, yelling at them when I could see they were making the wrong decision, crying with them, celebrating with them, and in the end, feeling like they haven't changed a bit. Will is still a troubled soul, Sara is still too nice, Lena is still clueless about what really matters, Faith is still trying to hold them all together, and Amanda was still the ball buster I have come to count on. I was glad that Angie did not make an appearance in this book, but I am willing to bet that she is not far away and will make her presence known in an upcoming book. If you are a fan of the mystery - suspense - thriller genre, I cannot recommend these books highly enough. As series go, both the Grant County books and the Atlanta books are top notch, and as mystery/thrillers go, they are among my favorites. If you are a fan of Karin Slaughter and have read the other books in her series, then I am probably preaching to the choir. If you have not, I recommend that you start with the Grant County books to get the background of the characters from that series, and continue with the Will Trent books, where Slaughter really comes in to her own.